Nyalic® is a water-clear, ultra-thin polymeric resin that seals and protects silver, copper, bronze, brass, stainless steel, aluminium and other bare and coloured metal surfaces. Tough and durable, Nyalic® Clear Surface Protectant will keep jewellery looking like new by preventing tarnish, corrosion, finger prints and smudges. Once coated, even copper jewellery will stay polished and bright and no longer darken or discolour skin and jewellery with patinas won’t fade. Nyalic® is ideal for all types of metal jewellery, sculpture and other metalcraft and artwork. It is skin safe, easy to apply, quick drying and self-levelling. Nyalic® Clear Surface Protectant leaves a natural finish and won’t darken or yellow like a lacquer. Aftercare is easy, too. Simply wash the coated surfaces with a mild detergent in warm water, rinse well and dry. Nyalic® is formulated for use on galvanized or stainless steel; bare or anodized, polished or mill-finished aluminium; and other non-ferrous metals and alloys; painted or primed ferrous metal substrates; and powder coated surfaces. It can be applied by wiping, spraying or rolling. Small or intricate pieces can also be dipped. 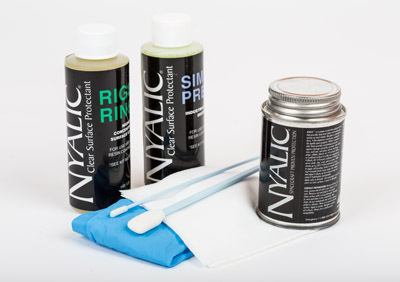 Various kits are available containing Nyalic® in cans and/or aerosols with prep products and applicators. 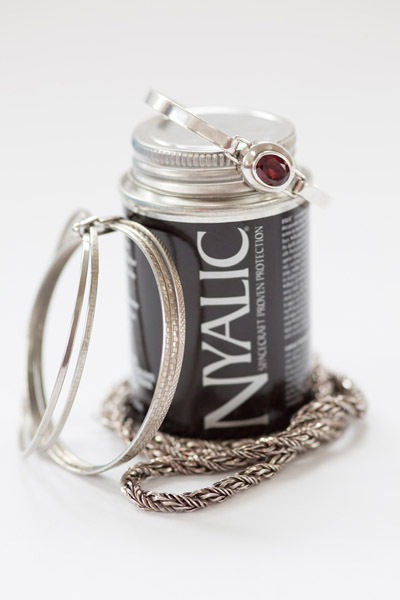 Prices start at £26.99 inc vat +p&p for a Nyalic® Small Jewellery Kit (coverage up to 3m²). All kits are available by mail order from www.spautopia-home.co.uk or by calling 01780 721470.